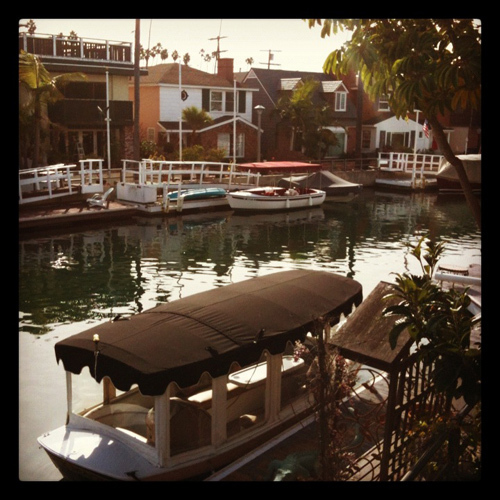 We just spent a week visiting family in Southern California, mostly in the lovely Long Beach enclave of Naples which boasts canals and water front mansions. It’s like rich person Disneyland. While not necessarily a tourist spot, if you do find yourself in the area, it’s a great place to stroll along the water and peep into people’s unshuttered fancy homes. Being on display seems to be the thing here. So feel free to gape inside well lit dream houses (often with questionable decorating taste- I’ll never wonder how Horchow stays in business again). The range of architectural style is vast and it’s super fun to pick “your” home out (I opted for a 70’s dark wood and glass cube). After peeking in all the neighbors windows and admiring the impeccable gardens (now heavy with Christmas decorations) you can stroll nearby to the very cute Mother’s Beach playground where Van and his cousin Bixby enjoyed the swings. Also be sure to take a boat ride on the canal if possible. oh man! I wish I had known you were in Long Beach! I live there! Sorry we missed each other, looks like you had fun. Miss ya! Rats!! Sorry we missed you!